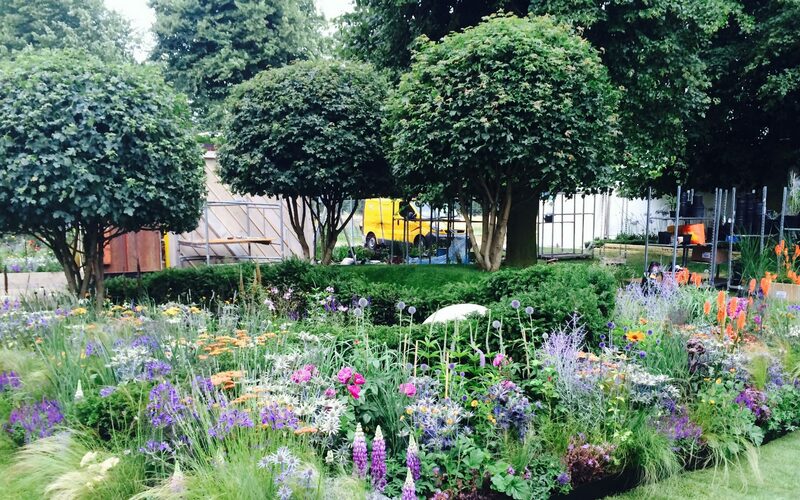 The Bounce Back Foundation Garden tells an inspiring story, narrating back to Bounce Back’s mission to give ex-offenders a second chance and unties the knot of uncertainty faced by ex-offenders when starting over. The idea of storytelling in garden form has been inspired by the allegorical function of historical knot gardens. Through the use of plant form, colour and texture, the design recounts how Bounce Back’s painting and decorating social enterprise works with ex-offenders to create new and fulfilling lives, giving them a fresh start whilst also encouraging society to see them in a different light. Designed by Frederick Whyte. Built by Cube 1994.